Roland Hermida and Brett Owens recently obtained an outright defense verdict in a 3-day auto negligence trial in Hillsborough County, Florida. The accident occurred on Hillsborough Avenue when the Plaintiff's vehicle was hit by the Defendant's box truck as he was backing out of a parking lot. The parties disputed who caused the accident and whether the accident cause the Plaintiff's injuries, as he had a significant history of similar complaints and treatments. The 27 year old Plaintiff claimed permanent neck and back injuries resulting from the accident. The Plaintiff requested $150,000 in future meds and pain and suffering. The jury returned a complete defense verdict finding the Defendant did not cause any of the Plaintiff's injuries. 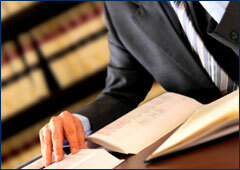 The Defendant is now entitled to recover their fees and costs from the Plaintiff.